The view from the Palomar Amateur Radio Club W6NWG Field Day site. It’s that time of year again; summer and Field Day! Each year the American Radio Relay League (ARRL) sponsors Field Day as a “picnic, a campout, practice for emergencies, an informal contest and, most of all, FUN!” The event takes place during a 23-hour period on the fourth weekend of June. For 2018 the event takes place during a 27-hour period from 1800 UTC on Saturday June 23, 2018 through 2100 UTC on Sunday June 24, 2018. Those who set up prior to 1800 UTC on June 23 can operate only 24 hours. 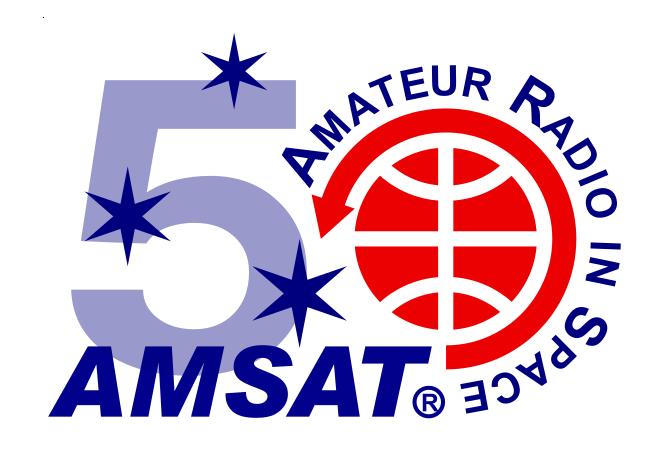 The Radio Amateur Satellite Corporation (AMSAT) promotes its own version of Field Day for operation via the amateur satellites, held concurrently with the ARRL event. If you are considering ONLY the FM voice satellites, there are SO-50, AO-85, AO-91, AO-92 and possibly PicSat. It might be easier this year to make that one FM contact for the ARRL bonus points with so many FM birds. The congestion on FM LEO satellites is always so intense that we must continue to limit their use to one-QSO-per-FM-satellite. This includes the International Space Station. You will be allowed one QSO if the ISS is operating Voice. It was suggested during past field days that a control station be allowed to coordinate contacts on the FM satellites. There is nothing in the rules that would prohibit this. This is nothing more than a single station working multiple QSO’s. If a station were to act as a control station and give QSO’s to every other field day station, the control station would still only be allowed to turn in one QSO per FM satellite while the other station would be able to submit one QSO. If you have worked the satellites on Field Day in recent years, you may have noticed a lot of good contacts can be made on some of the less-populated, low-earth-orbit satellites like FO-29, AO-7, AO-73, NAYIF-1 or the XW satellites. During Field Day the transponders come alive like 20 meters on a weekend. The good news is that the transponders on these satellites will support multiple simultaneous contacts. The bad news is that you can’t use FM, just low duty-cycle modes like SSB and CW. The AMSAT Field Day 2018 event is open to all Amateur Radio operators. Amateurs are to use the exchange as specified in ARRL rules for Field Day. The AMSAT competition is to encourage the use of all amateur satellites, both analog and digital. Note that no points will be credited for any contacts beyond the ONE allowed via each single-channel FM satellite. Operators are encouraged not to make any extra contacts via theses satellites (Ex: SO-50). CW contacts and digital contacts are worth three points as outlined below. – Each phone, CW, and digital segment ON EACH SATELLITE TRANSPONDER is considered to be a separate band. – CW and digital (RTTY, PSK-31, etc.) contacts count THREE points each. – The use of more than one transmitter at the same time on a single satellite transponder is prohibited. We have only APRS digipeaters and 10m to 70cm PSK transponders (see Bob Bruninga’s article in the March/April, 2016 issue of the AMSAT Journal). Satellite digipeat QSO’s and APRS short-message contacts are worth three points each, but must be complete verified two-way exchanges. The one contact per FM satellite is not applied to digital transponders. The use of LO-90 to make a voice up and digital down contact will count as a digital contact for 3 points. The use of terrestrial gateway stations or internet gateways (i.e. EchoLink, IRLP, etc.) to uplink/downlink is not allowed. For the Pacsats (FalconSat-3) or ‘Store and Forward’ hamsats, each satellite is considered a separate band. Do not post “CQ” messages. Simply upload ONE greeting message to each satellite and download as many greeting messages as possible from each satellite. The subject of the uploaded file should be posted as Field Day Greetings, addressed to ALL. The purpose of this portion of the competition is to demonstrate digital satellite communications to other Field Day participants and observers. Do not reply to the Field Day Greetings addressed to ALL. The following uploads and downloads count as three-point digital contacts. (a) Upload of a satellite Field Day Greetings file (one per satellite). Please note AMSAT uploaded messages do not count for QSO points under the ARRL rules. Greetings from W5MSQ Field Day Satellite station near Katy, Texas, EL-29, with 20 participants, operating class 2A, in the AMSAT-Houston group with the Houston Amateur Television Society and the Houston QRP club. All the best and 73! Note that the message stated the call, name of the group, operating class, where they were located (the grid square would be helpful) and how many operators were in attendance. Stations operating portable and using emergency power (as per ARRL Field Day rules) are in a separate operating class from those at home connected to commercial power. On the report form simply check off Emergency or Commercial for the Power Source and be sure to specify your ARRL operating class (2A, 1C, etc.). The Satellite Summary Sheet should be used for submission of the AMSAT Field Day competition and be received by KK5DO (email or postal mail) by 11:59 P.M. CDT, Monday, July 9, 2018. This is earlier than the due date for the ARRL submissions. The preferred method for submitting your log is via e-mail to kk5do@amsat.org or kk5do@arrl.net. You may also use the postal service but give plenty of time for your results to arrive by the submission date. Add photographs or other interesting information that can be used in an article for the Journal. You will receive an email back (within one or two days) from me when I receive your email submission. If you do not receive a confirmation message, then I have not received your submission. Try sending it again or send it to my other email address. Certificates will be awarded for the first-place emergency power/portable station at the AMSAT General Meeting and Space Symposium in the fall of 2018. Certificates will also be awarded to the second and third place portable/emergency operation in addition to the first-place home station running on emergency power. A station submitting high, award-winning scores will be requested to send in dupe sheets for analog contacts and message listings for digital downloads. You may have multiple rig difficulties, antenna failures, computer glitches, generator disasters, tropical storms, and there may even be satellite problems, but the goal is to test your ability to operate in an emergency situation. Try different gear. Demonstrate satellite operations to hams that don’t even know the HAMSATS exist. Test your equipment. Avoid making more than ONE contact via the FM-only voice HAMSATS or the ISS, and enjoy the event! This form is designed to allow for easy editing in a Word Processor.